Javontay Grayson brought enthusiasm to his freshman year at Santa Rita. He immediately was involved in football and had planned to wrestle in the winter. 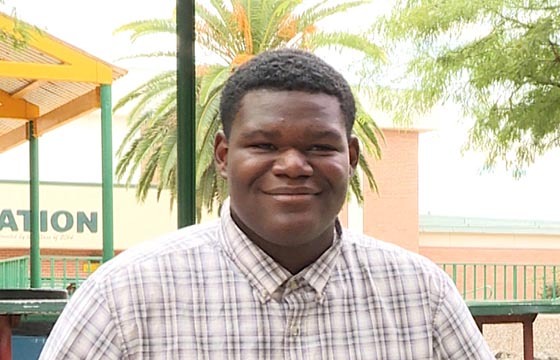 Though Javontay loves his science classes, he ultimately would love to become an engineer. He said he likes building things, and one goal is to build a life-size replica of the Batmobile. Javontay's favorite food is shrimp fried rice, and he is most looking forward to the overall high school experience moving forward.